The firm handles all types of litigation matters, including product liability defense, contract disputes, commercial disputes, and estate-related controversies. The firm also handles contract negotiations on behalf of businesses and individuals, frequently representing physicians and other professionals. The firm handles all types of employment matters, including counseling and training, severance negotiations, covenants not to compete, and employment discrimination of all types, on behalf of businesses and individuals. The firm's current employment law docket includes gender discrimination, pregnancy discrimination, equal pay, sexual harassment, disability discrimination, race discrimination, age discrimination, and employee benefits disputes. 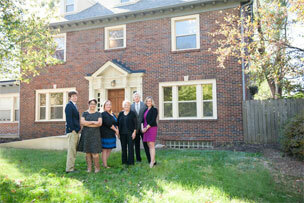 The lawyers of DeLaney & DeLaney recognize their responsibility to give back to the community. Our attorneys value community involvement and believe that such activities benefit their clients and their communities. They have made numerous contributions to the community at large and to the Bar. Some of their activities, memberships, and honors are listed here.